﻿ Hashimotos, Raynaud's, Sjorgrens Autoimmune Diseases - Oh My! Hashimoto’s, Raynaud’s, Sjogrens Autoimmune Diseases – Oh My! I recall my gynecologist looking at me incredulously. She said “being in your twenties and having hair loss isn’t normal”. I got married a month before my 25th birthday. By my one-year anniversary, I had gained 20 lbs. and gone up 2 dress sizes. Luckily, I had never had any issues with my weight, up until that point. My sister, my mom and I joined Weight Watchers not long after that. They lost weight more quickly than I did. I couldn’t figure out why it was so much more difficult for me to lose the weight. I had other, more important matters, on my mind. My husband and I decided we wanted grow our family and have a baby. My gynecologist had advised that it could take up to a year of “trying” to conceive. She did not test me for thyroid problems at that point, despite the unexplained weight gain and the inability to lose it, even though I was being healthy and exercising furiously. Hmmm?! Well, after a significant amount of time had passed, guess what? I still wasn’t pregnant– Surprise! So, discouraged I went back to my gynecologist for advice. She suggested that I have some blood work done to test for a few different things. Obviously, I agreed. On my follow up appointment, I was informed that I had hypothyroidism. My first thought was “what the heck is that?” I’d never heard of it. My gynecologist explained it to me and then asked if I ever felt over-tired, depressed, cold, had dry skin or hair loss? I paused as I thought through all of those things. Well, yes, I said, but my Mom has many of those same things, and I just thought it was normal female stuff (of course, we later learned that my mom has hypothyroidism, as well – thanks to my being diagnosed and my insistence that she get checked). “Cold hands, warm heart” everyone had always said. I recall my gynecologist looking at me incredulously. She said “being in your twenties and having hair loss isn’t normal”. I was never one to sit around and lament any particular health issue, so I shrugged it off. She cautioned me, though, to pay attention to my symptoms and wrote a prescription for Synthroid (or perhaps it was Levothyroxine). I am not certain what I was taking at that time, because I was more interested in getting pregnant. Eventually, after two, extremely long years, we conceived. I don’t think I’ll ever know how much, being hypothyroid prior to getting pregnant, affected my ability to get pregnant. I still get upset and emotional that my thyroid levels were not checked when I said that I was going to start trying to have a baby. I think a thorough check-up, including all blood work, wouldn’t have been too much to ask for. I now have 2 boys, both born with congenital hypothyroidism (my husband had Graves’ Disease, so genetically speaking, it would have been a miracle to have had kids without thyroid disorders). I don’t think I’ll ever know how much being hypothyroid prior to getting pregnant affected my ability to get pregnant. So, at what point did I realize I had Hashimoto’s Thyroiditis? Well, my endocrinologist (who I was referred to after the birth of my 1st child) wanted an ultrasound of my thyroid done because none of my other doctors had ever ordered one. She also wanted more blood work done including checking for the antibodies that would show whether I had Hashimoto’s. I realized right away that she was a good endocrinologist. The results came back and the antibodies didn’t show up in my blood work, but my thyroid ultrasound revealed a thyroid gland that looked like it was a “Hashimoto’s” thyroid. My endocrinologist said that somewhere around 20% of people with Hashimoto’s Thyroiditis, don’t test positive for the disease, based on the antibody test alone. I asked her the difference between this and regular hypothyroidism, and she explained that Hashimoto’s was an autoimmune disease and that I could be more likely to develop other autoimmune diseases. I recall thinking “whatever” and leaving the office. I was well controlled on Synthroid and felt fine. Or at least, I thought I was fine. That feeling of being ok and fine, didn’t last long, though After my second son was born, I struggled with many health issues. I had a kidney stone that had to be surgically removed, and then two months later had my gall bladder removed because it was chock full of stones. Four months later, I landed back in the hospital with another kidney stone. I continued to struggle with various health issues and was eventually tested for Cushings, which turned out to be negative, thank goodness. 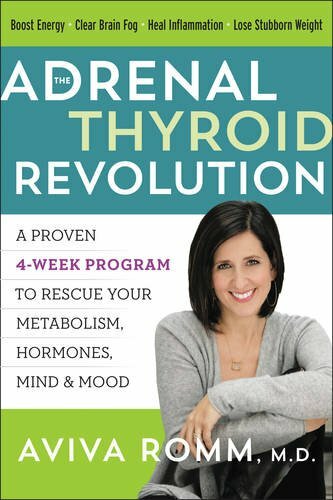 But, as time passed, I wondered if perhaps that was an initial warning sign of adrenal fatigue? 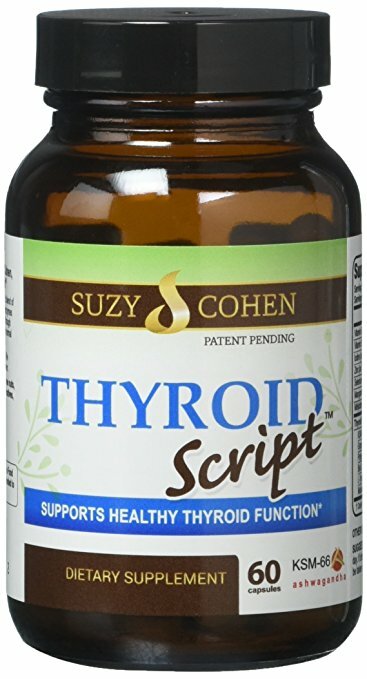 I suffered and struggled with hypothyroidism symptoms and was prescribed Cytomel (synthetic T3) in addition to the Levothyroxine, to see if that helped better control my symptoms. Because I had started the Cytomel, my endocrinologist wanted me back for a check-up sooner rather than later (see I told you she was a good doctor). She and I talked about the fact that she was certain I had Hashimoto’s, and we discussed the fact that I have Raynaud’s Syndrome. She suggested that when I come back for my next appointment, I should have an autoimmune work-up done. I agreed that it seemed like a good plan, but I wasn’t totally honest with her or myself about everything that I should have said in that particular moment. I don’t have a good explanation for why. I’m good at advocating for everyone else, but perhaps not so great at advocating for myself. Fast-forward a month. I went for my annual physical with my internist. She was reviewing my entire health history (she is a very thorough doctor, too, I’m starting to feel very lucky with doctors). She asked me why I wasn’t running anymore, and I explained that I had arthritis in my knee and toe. She pointed out that my chart showed nothing but chronic sinus infections. At another point in the discussion, I told her that my endocrinologist had asked about my Raynaud’s flare-ups. It wasn’t long before she started questioning me and pushed me to be honest about all that was going on. It was truly a pivotal moment for me. She asked me whether I’d had any other issues or whether I felt any other joint pain? She continued on with countless other questions. I realized that I had not been honest with myself or with anyone else, about how terrible I had been feeling. I had no idea how many autoimmune diseases were plaguing me. I didn’t want to complain, because I felt as if I’d put my family through enough with the chronic health issues I’d faced over the last 2 years and felt as though everyone was tired of hearing what was wrong with Blythe today. After a while, I began to confess all of the symptoms I had experienced, including the fact that I ached so badly that day I could barely sit on the exam table long enough to complete the physical. She sent me the very next day for various autoimmune disease testing. The blood work came back positive for Sjogrens Syndrome – another thing I’d never heard of – but nearly all the symptoms on the list match up with what I’d been enduring. I’m in the process of researching and learning more about it, because that’s how I make peace with every major issue I’m ever confronted with. I research the hell out of it. I have been to a rheumatologist and she confirmed the diagnosis of Sjogrens (and so has subsequent blood work) and noted that I also had Fibromyalgia. I’ve learned a lesson about the importance of being honest with my doctors and not ignoring symptoms. I’ve learned the value of persistent and thorough doctors, particularly internists who can see the big picture instead of just pieces. So, what Hashimoto’s has meant for me, is that it was a big, HUGE, caution flag that was being waved in my face– only to be noticed by the best and most attuned doctors. 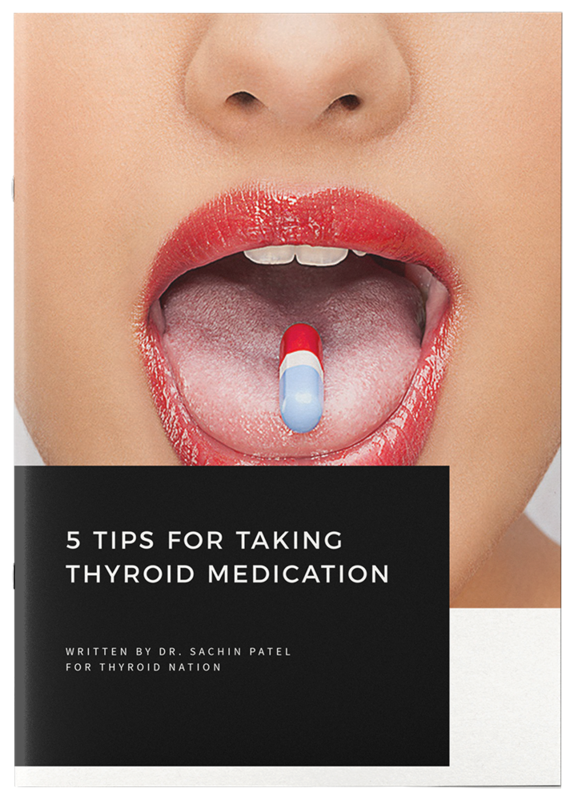 For those that think hypothyroidism is just a simple thing that is cured by simply taking a pill, you are wrong. 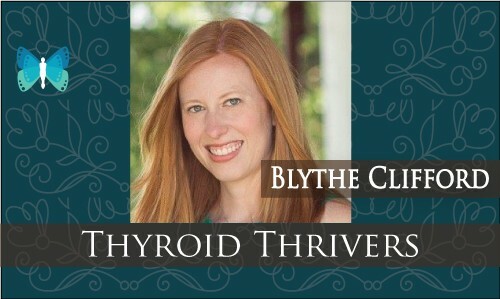 Thyroid disease is much, much more than that. It affects every single day of my life. For those of us with autoimmune diseases and “versions” of thyroid disease, it’s simply one piece of a complicated puzzle. However, were it not for my thyroid disease, I’m not sure how long the other issues would have gone unnoticed and undiagnosed. So perhaps in some strange way, I’m thankful for it. I’m thankful that my experiences with hypothyroidism make me a better mom to my hypothyroid children. My journey with thyroid disease is a complicated one in many aspects, but I hope that by sharing it with you, I bring you some sense of peace and comfort and of not being alone if you are enduring a similar journey. 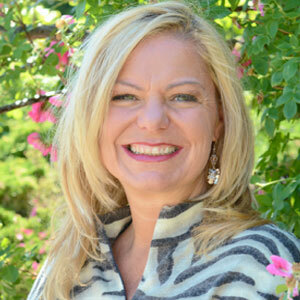 You can find me at www.thyroidmom.com or on Facebook.